With Cata Pack, you have free shipping. 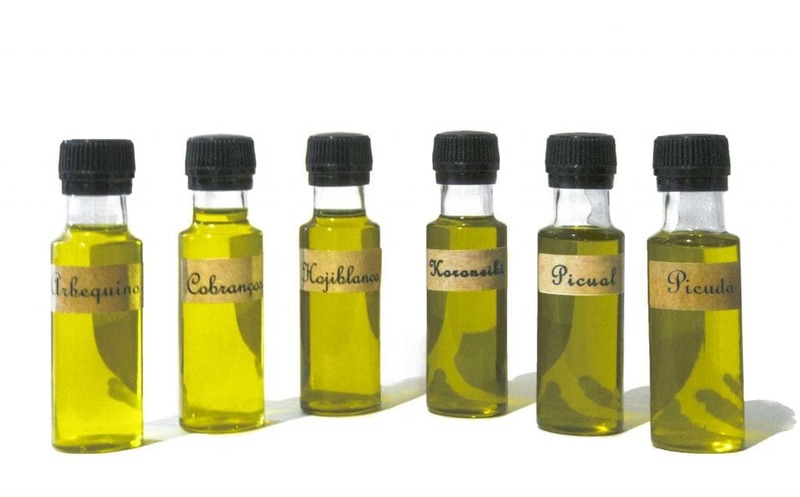 Taste all our Single Variety EVOOs and choose your favourites. Then buy Green Gold knowing what to expect. 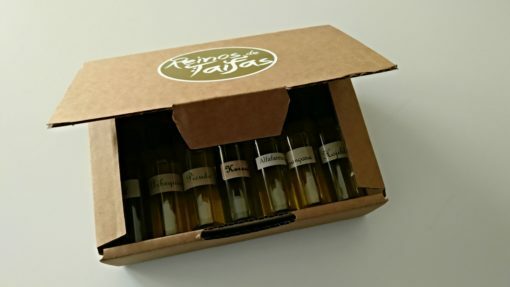 “Cata Pack” by Reinos de Taifas is a sample box with 6 Extra Virgin Olive Oils that come from different cultivars. 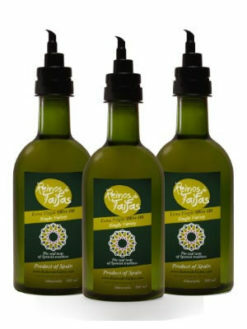 Each Single Variety has its flavour and nuances. 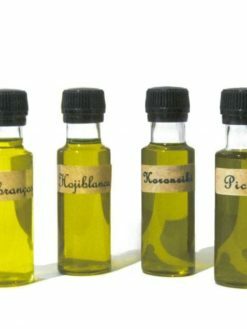 The purpose of this product is to allow you to try all the different options at the same time to compare and contrast the taste characteristics. That way you can discover which Single Variety matches your taste best (that could be one or several). 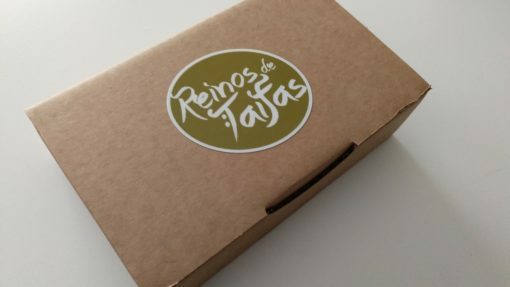 The aim is that you can personalise your EVOO experience with Reinos de Taifas by buying your favourite(s) Extra Virgin Olive Oil(s). 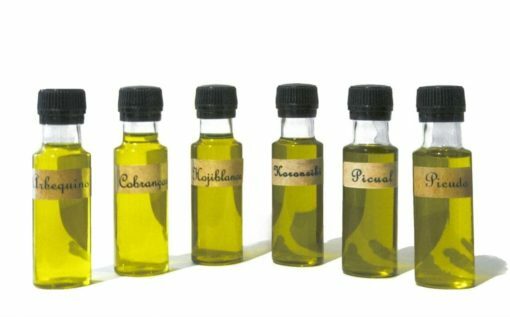 You don´t need to be an expert to taste the EVOOs, try them with your favourite bread and you will tell the difference between them. At first, you can quickly see if there are some you like/dislike and then you can go for a second round paying more attention to details. Might be a good idea to take some pen and paper with you to write down your preferences. It is something fun to do with your family or friends. It is also an original gift that won´t be forgotten quickly. Buying Cata Pack, you don´t need to get to the minimum threshold that grants you free shipping. That means that you can buy Cata Pack on its own. If you decide to add more products, the price of Cata Pack won´t count for the threshold. Please contact us if you have this problem and we will help you to sort this out.